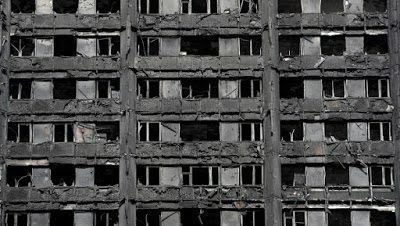 The recent statement made by Sir Martin Moore-Bick, the retired judge selected to chair a public inquiry into the Grenfell Tower disaster, that he is “doubtful” that the inquiry called by Theresa May will be as wide-ranging as the tenants hope will be interpreted by many as an ominous one which candidly anticipates an unsatisfactory conclusion to any forthcoming investigation. This is because the lessons from the past consistently demonstrate that despite the characterisation of an inquiry as a purposive endeavour geared towards producing a full and frank resolution to an event which has typically pained and outraged the public, they have often been used by the executive branch of government to stage-manage the process of scrutiny. Thus, what may appear to be an earnest effort geared towards ‘getting to the heart of the matter’ often turns into an exercise of ‘whitewashing’. The history of public inquiries is replete with the accusation of ‘whitewash’ and ‘Establishment cover up’. This has been facilitated by the very nature of public inquiries despite the ostensible reform offered by the Inquiries Act of 2005. The first point to note is that the executive branch of government presently headed by Prime Minister May controls the inquiry’s terms of reference. For example, the Franks Inquiry into Argentina’s invasion of the Falkland Islands in 1982 managed to completely exonerate the government of Margaret Thatcher even though failures in diplomacy and intelligence were widely believed to have contributed to the Argentine military government’s decision to invade. After all, Thatcher’s foreign secretary, Lord Carrington had resigned soon after the invasion citing the doctrine of Individual Ministerial Responsibility. There had clearly been failings on the part of the Secret Intelligence Service in predicting the Argentine action, and cuts in naval spending implemented by the Thatcher administration were later viewed as actions which would have offered the Argentine junta encouragement in proceeding with their enterprise. Secondly, the notion that an inquiry offers impartiality has often been compromised. For example, the view held by many in the republican community of Northern Ireland that Lord John Widgery was a figure of the British Establishment who would have been unlikely to blame the British Army for the massacre of unarmed demonstrators on ‘Bloody Sunday’ in 1972 was borne out by the fact that the inquiry took just eleven weeks to absolve the 1st Battalion of the Parachute Regiment of wrongdoing. Widgery’s conclusion was reversed thirty-eight years later by the findings of the inquiry headed by Lord Saville which held that the soldiers had killed the demonstrators in unjustifiable circumstances. The allegation of partiality rose its head in regard to the inquiry into the death of David Kelly, which provided a platform for the first official investigation into the circumstances surrounding the decision of Tony Blair’s government to take Britain into the war with Iraq. The handpicking of Lord Hutton to chair this inquiry is seen today with virtual unanimity to have been biased in favour of diverting any blame from the government of the day. More closer in time, worries about the perception that appointed chairs for the Independent Inquiry into Child Sexual Abuse were too close to certain individuals who were to be investigated led to the resignation of the first two appointments to the position of chair. The reasons for their withdrawal in each case were objections related to their perceived closeness to individuals and establishments which were to be investigated. A third point regarding the limitations of the mechanism of the public inquiry is that the recommendations made by the inquiry such as pertaining to changes to the law can be ignored. This lack of accountability and ineffectiveness of the reports that have followed many an inquiry have arguably led to the repetition of mistakes. For example, David Cameron’s decision to allow Britain to participate in the overthrow of the government of Libya in 2011 resulted in the destruction of the country and its present day designation as a ‘failed state’. He might have been more cautious about joining the action if a proper inquiry had occurred after Britain’s participation in the 2003 invasion of Iraq which also led to catastrophic consequences. While the aforementioned examples of inquiries predated the passing of the Inquiries Act of 2005, this reform has not stopped negative criticism of the inquiries system. The issue of executive control of the inquiry remains a thorny one given that the chairman and members of the inquiry are appointed by a government minister. The system of using single judges to preside over inquiries which was thought to have been thoroughly discredited during the Hutton Inquiry is still in place. This factor arguable serves to perpetuate an ineradicable flaw in the system. In 2005, Peter Cory, a Canadian judge who has served on a number of British inquiries also claimed that inquiries conducted under the Act would make a meaningful inquiry impossible because the relevant government minister would have the authority to thwart the inquiry at every step. The Chairman of the United States House Foreign Affairs Subcommittee on Africa, Global Human Rights and International Operations Subcommittee, Chris Smith, described the proposals when it was a bill as “the public inquiries cover-up bill”. It is also important to note that public inquiries which have tended to pose problems in terms of their inordinate length and cost -the Saville Inquiry cost £195 million and took 12 years to complete- do not provide full protection for the right to a fair hearing as required by article 6 of the European Convention on Human Rights. This was the judgement of the Joint Human Rights Committee of the British Parliament and the Law Society, the body which represents the ranks of the country’s solicitors. Of course, the victims and relatives of the victims of the Grenfell disaster may have a case for civil negligence against the relevant local authority and private organisations responsible for the health and safety of the building. The criminal law may also provide an avenue for punishing senior public and private officials on the grounds of corporate manslaughter. While some may feel that the chances of a cover-up are lessened due to the fact that it is government at local level rather that at Whitehall which made decisions that ultimately created an unsafe environment, it is worth noting that local authorities work and set policies within a general framework set by central government. Sir Martin Moore-Bick’s remarks serve as a warning to those who expect that a public inquiry will provide a no-holds-barred exercise in transparency and accountability. Adeyinka Makinde is a writer and law lecturer who is based in London, England.